Audience is very important for the survival of any website and blog. 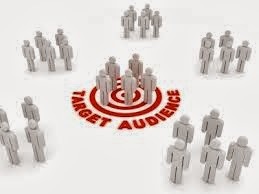 This article is all about How to design a website for a particular target audience. As we all know that creating an website or blog is easy but to maintain it for a long period of time is bit difficult. Over the recent years bloggers create their websites but failed to grab huge audience. If we look around at the websites and blog that are creative, fully attractive template, well designed and are effective, then you will see that this website and blog having a targeted audience and also popular worldwide. Below there are some tips to design a website for aiming the targeted audience. The first method to grab huge audience is designing your website. If you are a newbie blogger than you must see that your blog doesn't containing huge visitors or readers but this is not a bad time, it is obvious because if you want popularity for your blog than it takes lot of time. You have to design your website like a profession blogger. There are number of sites are available on web, just go through with that and make your blog template creative and effective. The website which you create is look like a professional website. Make sure that your website and blog having a creative and attractive template and design. If your template and design of a blog is not so good than you were failed to grab huge audience. Make sure that the widgets you were used is properly placed on a write place. The article you write is having a quality keywords and properly written. The loading period of your blog is also low, because if it takes too time to load than the audience will skip from your blog. The next point is web design services. If your website and blog provide some services than these services are legal and provide all relevant information. The services are up to dated and provide all information. Make sure that the services you mentioned in your blog, it should not contain any error messages, and otherwise it shows the bad effect of your blog and website. Make sure that your template and design of your website is quite simple, creative plus attracts the audience. Basically I relate the blog and website with the future investment. So this point is very important if you want to grab huge audience. Whatever is your theme and template, it should be affordable.